His full name is Deogratias and it means “Thanks be to God”. His grandmother named him. Sitting on the front lawn of the MAD guesthouse, Deo recalled how his journey with MAD began. He is the youngest of three brothers and remembers the moment two Tanzanian women came walking into his village and offered to pay his school fees. The two women were starting an orphanage and were searching for kids in the villages that weren’t able to attend school. They soon became discouraged as they realized how challenging running an orphanage can be. They asked MAD to take over payment of school fees and later with helping the children with meals, access to water, medical checkups as well as payment of staff. MAD essentially ended up taking all of the children under their wing. Both of Deo’s parents passed away when he was 5 years old. His father died from lung cancer. His mother passed away from malaria. He was enrolled in the MAD program upon leaving the village with the two women. In 2008, at age 12, he started to attend Royal, which is a local private school. Deo was motivated to make a better life for himself, and very thankful for the opportunity to attend a private school with all of his school fees covered. He worked hard and did well in school. Now, Deo is twenty-three and attends Newfoundland University in Canada studying biochemistry. Deo smiled and gazed off to the side when I asked about soccer. Then he looked at me, let out a little laugh, and said, “I live with my international soccer team. It is a very good time”. At University, Deo has also participated in Relay For Life, which is an organization that hosts events to raise funding for cancer research. 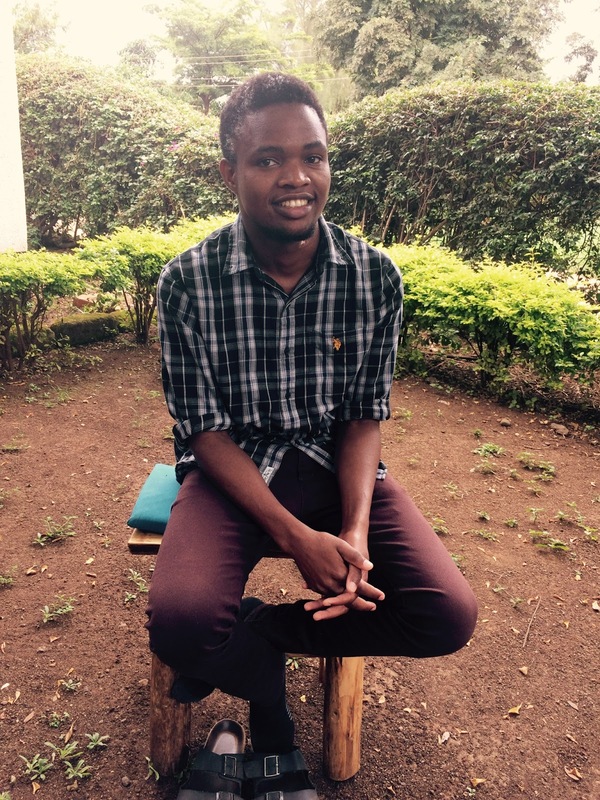 Deo’s life goals have transformed, as he once thought he wanted to be a doctor. Now, he is pursuing biochemistry. His career goals may transform but one thing will remain: Deogratias will seek good and help others in his lifetime. First Christmas Away from Tanzania; I Felt As If I Was at Home! Happy New Year, everyone! I had a great time staying with a wonderful host family my first Christmas away from Tanzania. I stayed with the Hesketh Family. They are really nice people. I never expected the trip to be enjoyable as it was though. I thought it would be difficult for me, as it was my first time spending time with a Canadian family. To be honest, I enjoyed every second of my stay with the family! I was so happy that MAD arranged the trip. The first day we went to see the CN tower and then went to see an art gallery. Linda Hesketh, the mother of the Heskeths bought me a landscape book so as I could learn how to paint. The second and the third day we went to the hospital where I met two doctors:- Dr. Sharman and George. They are really nice doctors. The hospital had advanced technology and there are many equipments in the ICU. The hospital was much more cleaner than you would find in Tanzanian hospitals. The floors and bed sheets were also very clean. This is different from what I saw at Muhimbili Hospital in Tanzania. The rooms are large and there is normally one patient in a room. In Tanzania, there is normally more than four patients in each room. Also, each patient has his/her own nurse. Patient’s relatives are also allowed to visit their patients in ICU. In Tanzania, NO relatives are allowed to enter the ICU unless absolutely necessary. Furthermore, family members are involved in decision making concerning their patients. They have regular meetings with patient’s relatives to discuss matters concerning patients in Canada. I learned a lot of things including how to coordinate with nurses during surgery. I was allowed to be in the ICU as Dr. George was doing dialysis to a patient. We also did round trips visiting different patients. But, the most important thing I learned is commitment. The doctors are very committed to the patients. They spend their time caring for their patients. I have never seen such committed doctors as Doctor Kurma, George, and Sharman. We had turkey for Christmas dinner. I also met the whole family and we had a good time together. We had the secret Santa and the next day we gave Christmas gifts to each other. I received so many things from them to an extent that we had to buy one more bag before I came back to school. I had prepared the two drawings ( everyone was amazed by my talent! ), and a Christmas card for the whole family. In Tanzania, we would just go to church on the Christmas day and then have food. Here, Christmas is a special time to share joy with family and friends. On the Christmas day, I went to the church and we also watched Christmas movies. The next day we went for hiking which was fun. Then we went for shopping where Linda bought me four shirts. We went to see the Royal Ontario Gallery on the next day. We spent the whole day there. The last day we went to the Niagara Falls. It was amazing. I could see USA on the other side of the bridge that connects Canada and US. When we reached home I prepared Ugali for dinner then we went to see the hockey game ( Ron’s and Kim’s favorite sport). This was my best Christmas. I met a very loving and caring family. I felt as if I was at home! It has been two years now since I started my advanced education, this was from July 2014 up to May 2016. I will be mistaken not to thank the Almighty God for the power He graciously gave me every hour in the two years. As you might know I pursued my advanced level education at Kibaha Boys secondary school. It was a challenging time so far in my life academically and socially. I was made to believe that from challenges people gain more knowledge and new ways to solve every day problems. As youth we are ought to understand that challenges are inevitable in life and we should not run away from challenges because escapism is not a problem solving technique. Kibaha has been a place that I have leant a lot of things concerning education, life and my religion. It is a place where students are united as one cooperate to teach each other about the aspects mentioned above. We used to do group discussions were we world share ideas and find the simplest way of understanding concepts that seems difficult during personal studies. We were also able to teach each other about our faith and our religion. I thank God that I was able to complete my advanced education well. We started our national examinations on 2nd of May and completed the exams on 13th may. I also thank God that I did my exams without having any health problem during the exams. I just pray that I pass well in my exams. The result will be out in July this year. I am now looking forward to join University studies in late September this year. There are so many universities in Tanzania where I could pursue my studies but up to this time I believe I will be glad If I will be chosen to join Hubert Kairuki Memorial University which is found in Dar es salaam . It ranked number one medical university for providing quality education last year. It also contains a manageable number of students hence it becomes easy for effective studies and good interaction with professors. There is also a hospital where students can carry out practical works and projects. Generally it’s a good university for medical university. I still dream to become a Neurosurgeon. I know it needs a lot of studying, but I am well prepared and ready to study hard so I can attain what I wish for in my life. I strongly believe that I will attain my dreams in the near future. I would also want to take this chance to thank all my sponsors, all MAD volunteers and the Administration of Make A Difference Now, Mama Theresa in particular for the support you gave me in my education and social life including health services and parental care. I will always be thankful to you all and I always pray for you. I am now in Moshi at the MAD office updating my blog. I am in a long holiday that will end in mid January 2016. It has been a year and a half now since I left Moshi for school. I am very happy to be back in Moshi to see my brothers and sisters from the orphanage. I am doing well at school and we already did mock exams a few days ago. Mock exams are preparatory exams for the final national exams, which will be held in April 2016. We did eleven exams in which there were also practical exams. I loved the Biology practical exam because I was able to dissect a frog. I believe I will pass exceptionally well in my exams. I have a few months now before I join a university for my medical studies and I am very excited to join a university. In this wonderful holiday, I am planning to use it effectively for revision of my notes and I am also in my preparations for the TOEFL exam which will be held on 19th December in Dar es Salaam. I can’t wait to see my fellows from the orphanage on 12th December during the Christmas lunch. I have really missed each one of them. I will also visit my grandparents and my uncle. I hope to spend my Christmas in my village with them and my friends. May God bless you all always!! I am glad because sister Janeth (Mama Theresa’s assistant) just came to visit my school. Today is parents’ day and hence she came in place of Mama Theresa. We have just completed our mid-term tests yesterday and we are going to close school today for a short holiday of 7 days. The exams i.e. mid-term exams, were quite ok and I believe I will pass well. I have been working hard in my classes and as you might know I am in my last academic year of high school before heading to university. The classes are a bit difficult and not as easy as when I was in ordinary level at Tengeru Boys’ School. I have been doing tutoring and I thank God, I am about to cover the topics that I am suppose to study. We are now preparing for regional examinations which will begin on 16th November up to 1st of December this year. I hope to excel well in those exams. Life here at school is completely different from that of Tengeru Boy’s School. Here we learn how to be self-reliant and depend on ourselves in some aspects. I thank God I was elected to be the Chairman of Tanzanian Young Catholic Students (TYCS) at my school. Kibaha High School. Tanzania Young Catholic Students is a youth movement for Catholic students in Tanzania. I have served for one year now and a few days ago we did election and chose another leader. I was also able to start a group called Youth Volunteering Group (YVG) which aim, at mobilizing youth here at school and the people around to help or give the little things they have to the people who are in need. So far we have managed to visit a certain orphanage here in Kibaha region called Buloma Orphange and provided few needs that we collected from the members and non-members of the group. We were also able to teach them English language and play sports with them. I will have my holiday in December and I hope to spend the holiday in Moshi. I am now at Moshi with my friends; Omega, Neema, Edward, Shabani and Mwenda. We are all in a short holiday from school. My holiday was really short and now it’s about to come to an end! I joined my new school as I told you guys last time, my school is good and its such a great experience to be there. I made a lot of friends and it was really amazing to meet students from all over Tanzania and from different schools. The school environment is good and it is very hot over there because the school is close to the ocean, so the weather is different from Himo. Studies are proceeding well. I will be back to school soon and my next holiday will be in December. This will be a very long holiday up to mid January.